Birth control that you have to remember every day (like pills) or every time (like condoms) doesn’t always work so well. It’s one of many reasons that 40 percent of pregnancies in the U.S. are unplanned. Long-acting birth control such as implants and intrauterine devices, IUDS, are far more reliable, but they require a doctor visit and are not as popular. A team at Georgia Tech has invented a patch that women can press into an arm or a leg and get a month’s worth of birth control — no doctor visit needed. 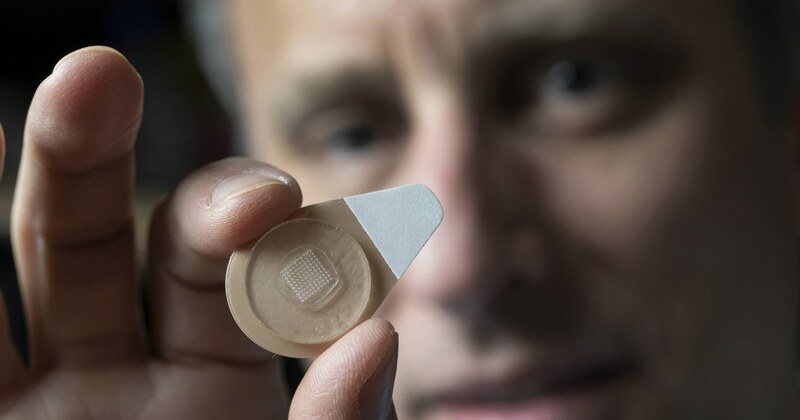 The patch uses dissolvable microneedles that implant into a user’s skin and slowly dissolve over time, delivering the hormone that is the basis of the most popular method of contraception, the team reports in the journal Nature Biomedical Engineering. The technology is based on a similar approach developed by the university to make needle-free vaccines. “There is a lot of interest in providing more options for long-acting contraceptives,” Mark Prausnitz, a professor in the bioengineering program at George Tech who is helping lead the effort, said in a statement. Medical experts from the American Academy of Pediatrics to the American College of Obstetricians and Gynecologists recommend IUDs and implantable birth control drugs as the most effective methods, as well as safe. “However, these formulations generally require administration by trained professionals, thereby limiting patient access, and safety is hampered by possible needle re-use and needle-based injuries. These issues are particularly important in developing countries,” the researchers wrote. Plus, research shows only 7 percent of teenagers use these methods, called long-acting reversible contraception. Instead, they prefer unreliable methods such as condoms and birth control pills. Georgia Tech’s press-on patch should only cost about a dollar a dose, the researchers said. They tested it on rats, and it delivered a month’s worth of hormone-based birth control evenly, without fluctuations in absorption. “Instead of injecting sustained-release formulations by needle and syringe, a microneedle patch is briefly and painlessly applied to the skin to break off and embed biodegradable microneedles for the slow release of contraceptive hormone,” the researchers wrote. They will have to test it in people to see if it works as well. The university has been working with a spin-off company called Micron Biomedical to develop the patch vaccine and Micron Biomedical will also work to develop the contraceptive product, Prausnitz said. The team says the patch could be formulated to deliver hormones for as long as six months, or for periods as short as one-week. The work was funded by Family Health International (FHI 360), under a contract with the U.S. Agency for International Development (USAID). Smartwatches: Switzerland’s friend of foe?